The Stanford, Conn.-based tree maintenance company Bartlett Tree Experts is aiming to help Chicago-area clients maximize the longevity of their trees by tapping high-tech solutions from the IT lab and testing low-tech solutions borrowed from ancient cultures. The company’s research arm in Charlotte, N.C., has developed a digital inventory management system that uses GPS data collectors to map out the trees they’re caring for and decide what measures are needed to keep them at their healthiest, says Scott Jamieson, vice-president in charge of business development and corporate partnerships. Some of the more visible Chicago clients using that GPS system include Millennium Park and Lurie Garden, the Lincoln Park Zoo, the Greater North Michigan Avenue Assn. and the University of Chicago. Bartlett also is studying the benefits of applying biochar, a natural fertilizer first used to grow crops in the Amazon 6,000 years ago, to trees in today’s cities. A test was launched in April along a strip of Milwaukee Avenue in Bucktown and Wicker Park. In a joint effort with the Morton Arboretum, researchers will investigate for the next two to three years whether the fertilizer improves the preservation of trees planted along that urban stretch, Mr. Jamieson says, adding that city trees have an average life span of about seven years. For the last few years, Bartlett has targeted Chicago as a growth market. The company says revenues here have risen by double-digits recently to about $10 million in 2010. About half of its clients in Chicago are residential and the bulk of its commercial clients are larger institutions. Crain’s caught up with Mr. Jamieson to learn more about Bartlett’s Chicago activities. Crain’s: Why are trees so important in an urban environment to combat climate change? Mr. Jamieson: One of the most important things trees are good for in the city is shading and cooling. They help reduce the heat-island effect (which raises the temperature in the city) and they reduce energy demands for cooling inside buildings. Anything that helps lower the overall temperature of a city or reduces energy consumption contributes to a reduction in greenhouse gases being emitted. Another important area we’re seeing the effect of climate change is the expectation of more rain and problems with storm water capture and retention. If trees are planted in urban areas, they intercept water so that it doesn’t end up in the sewer systems. A lot of the federal funding for tree planting and tree care is linked to storm water issues so they can intercept rain before it runs off into the streets and sewers. Do Chicago residents and business owners make the connection between the desire to be more green and the importance of trees in the city? People get the equation around trees and being green and that awareness is at an all-time high. Years ago, merchants didn’t want trees on the avenues. They said it blocked their signs and got in the way of pedestrians. Now, the merchants want trees. 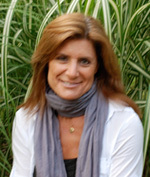 We have some awesome research from Dr. Kathleen Wolf at the University of Washington that shows trees in retail areas drive an increase in profits. The study found businesses had about 30% higher profit margins in shopping areas with trees compared to those without. Creating a beautiful tree-friendly environment causes people to linger longer and shop more. Some retailers plan on using their trees and plantings as part of their marketing strategy. 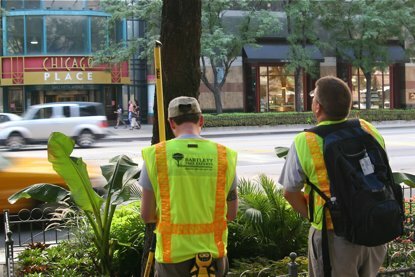 Can you briefly describe the high-tech inventory tool Bartlett uses to track tree health and maintenance for its Chicago clients?The system is a handheld, highly accurate GPS unit that records all kinds of data about the trees. We overlay that data onto sophisticated maps, like Google Maps, and we can see the tree exactly where it’s located. 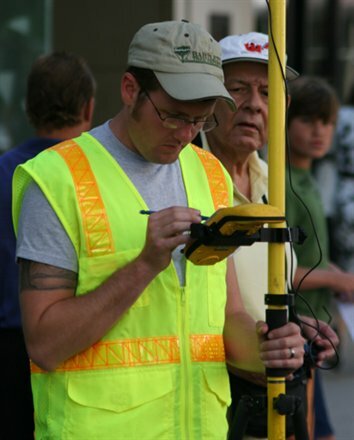 We can enter an infinite amount of data with this software tool into a database, including the size of the tree, canopy spread, diameter, height of the tree, etc. . . . and then we monitor the trees closely to know when they’ll need any kind of maintenance. We also can get ecological values. The latest, coolest thing about this technology is that it measures how much storm water that tree is probably intercepting and how much it’s worth to the city. You can get carbon sequestration and cooling data, too. When we worked with the Greater North Michigan Avenue Assn., we gave them these values so they can eventually put it on their website to show that they’re ecologically friendly and that they’re helping to reduce the city’s carbon footprint. They will see how they can weave that information into their marketing to show the value of their trees is helping make their avenue a very green avenue. Tell us about the biochar pilot project you just started along Milwaukee Avenue. Biochar is like charcoal made from wood chips, corn stalks or other biomass that’s burned to a level past charcoal but not to pure carbon. It’s an ancient process that was discovered in the Amazon about 6,000 years ago. The natives burned this and used it to fertilize the fields and help grow their crops. It’s been used in agroforestry for years in Third World countries. We were the first to look at whether it has the ability to help urban trees grow in tough soil. Trees in the city are planted around rubble, clay, all kinds of degraded soil. Can biochar help improve that soil? We don’t know its effect on trees yet, but we’re working with the Morton Arboretum on this to find out. 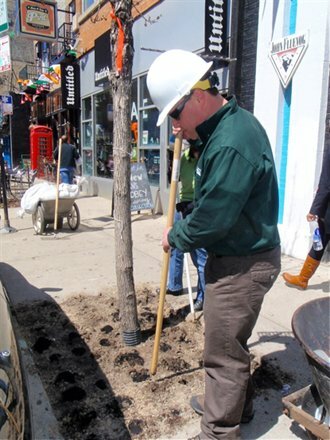 We’re studying 60 trees along Milwaukee Avenue. Some plots are controlled with no fertilizer added, some got regular fertilizer and some trees were fertilized with only biochar. We’ll monitor the roots, the soil, the oxygen within the soil and soil biology to see if the biochar improves the growth and health of the trees. If biochar proves to cost-effectively improve the growing conditions of urban trees, its use could save municipalities and property owners significantly in tree-replacement costs and help preserve valuable urban tree canopy. This entry was posted in Green Scene and tagged Bartlett, entrepreneurs, green, GreenScene, tech, trees. Bookmark the permalink.